Fix School Discipline is a comprehensive resource for school superintendents, principals, teachers, parents, students, community leaders and organizations and anyone who is interested in learning about how to eliminate harsh, push-out discipline practices and put in place solutions that work for all students. Here, you can find the latest data and news about the impacts that suspensions and expulsion have on students and school climate. You can also use our step-by-step tools to help you implement or advocate for supportive, inclusive discipline policies that hold students accountable and improve school climate and safety for all members of the school community. Californians of all kinds want to fix school discipline rules, reduce out-of-school suspensions, and increase student learning. 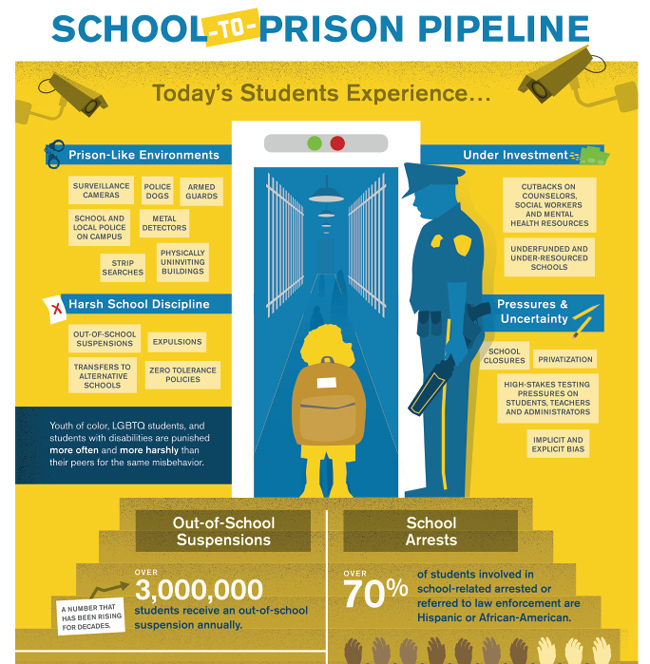 Check out some organizations already working to end the school to prison pipeline below. What if I would like to connect with other folks working on these issues in their schools? This will take you to a semi-comprehensive contact sheet for California.